Whose mouth doesn’t start watering when thinking about a meal at an authentic Mexican restaurant? The hint of spice and richness combined with the snappy bite of fresh, seasonal ingredients – is it even possible for authentic Mexican cuisine to get any better? One could argue that yes it is possible, through culinary fusion. Culinary fusion is the art of blending the culture and flavors or different regional cuisines to create new dishes that are unsurpassed in flavor and personality. Culinary fusion takes the best elements of a various cuisines and elevates them to create an entirely new taste experience. Fusion cuisine has been a trend in the culinary world for a while, but what the most talented chefs know is that real fusion has nothing to do with the trends. Instead, skillful fusion is about bringing food to life, exciting taste buds and encouraging people to rethink their feelings and attitudes toward cultural cuisines. Do enough culinary exploration and you’ll find all types of fusion cuisine. The thing to remember is that real fusion isn’t just about tossing together ingredients from different cultures or regional cuisines. It’s about discovering the synergy that exists and learning how different ingredients complement and enhance each other. Mexican cuisine is a great partner for fusion style creations. Authentic Mexican food features such a range of flavors, textures and fresh ingredients. This is why the chefs at some of the best Mexican restaurants have begun to create more fusion dishes and build new, exciting menus around them. You can always head to an amazing Las Vegas Mexican restaurant – like Borracha – to experience the best of Mexican fusion, or you can play around a little in your own kitchen and explore the flavors of the world on your own. If you’re not sure where to begin, don’t despair. Even the most creative culinary minds need a little inspiration from time to time. Here are a few interesting and insanely delicious Mexican fusion ideas to get you started. Dishes that blend Korean and Mexican flavors have become one of the most exciting areas of fusion cuisine. What started out as trend that was primarily isolated to Los Angeles, Korean Mexican fusion has taken off and is now tempting palates in fusion restaurants across the nation. Korean food is known for its combination of spice, rich BBQ meats and the tartness of fermented dishes, like kimchi. These elements blend perfectly with Mexican cuisine that features smoky roasted peppers, the tartness of lime and slow roasted Carnitas. To experience Korean Mexican fusion for yourself, try something like tacos on fresh ground corn tortillas topped with kimchi or take a new spin on a classic with Korean bulgogi nachos. When you stop and think about it, the flavor profiles of Chinese and Mexican cuisine have quite a bit in common. Chinese dumplings share similarities with empanadas, dishes like Moo Shu Pork are often served with tortilla style bread, and grains are staples of both cuisines. To top it all off, the fusion between Mexican and Chinese cuisine isn’t as “new” as it seems. Still, even with a long history, the fusion between Mexican and Chinese cuisine has only recent caught on as a “foodie” trend. Think about the deliciousness of fried rice made with pork belly or the melt in your mouth delicacy of a Carnitas bao bun. The potential for delicious Chinese Mexican fusion dishes is endless. 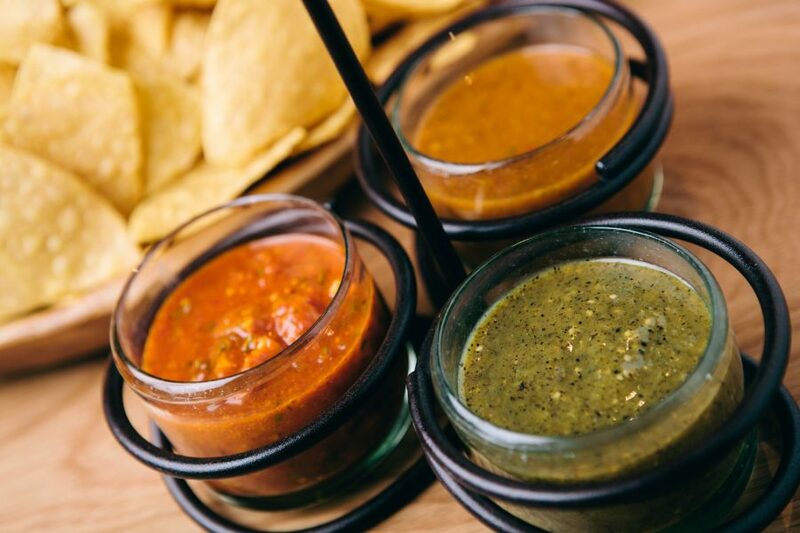 If there’s one thing that Mexican and Italian cuisines have in common, it’s an obsession with amazingly delicious sauces. Plus, with Mexico’s more than 6,000 miles of shoreline, the two cultures also share a love of fresh seafood. While a taco pizza is probably one of the first, delicious dishes that come to mind when you think about Italian Mexican fusion, it’s not the only way that these two cultural cuisines beautifully collide. Pizza and quesadillas create a tasty child in the form of a pizzadilla and even an Italian staple like pasta can be infused with the taste of Mexico in a dish like corn ravioli. Of all cuisines in the world, French is arguably the most sophisticated. French chefs are renowned for creating dishes that are both beautifully simplistic and unlike anything you’ve ever tasted before. Unlike Mexican cuisine, you don’t see a ton of French street food around. At first, French Mexican fusion might feel like an awkward combination. The reality is nothing could be further from the truth. Consider the decadence of churro French toast or the richness of duck mole. We also can’t think of anyone who would turn down truffle nachos or a poblano and mushroom stuffed crepe. These are just a few of the most popular Mexican fusion ideas. However, there are no limits to the ways that Mexican cuisine blends with and enhances other cuisines around the world. Consider the way Japanese and Mexican cuisines deliciously complement each other with a yellowtail tostadas or wonton chip nachos. How about a fusion of Hawaii and Mexico with jalapeno poke and pork belly musubi? 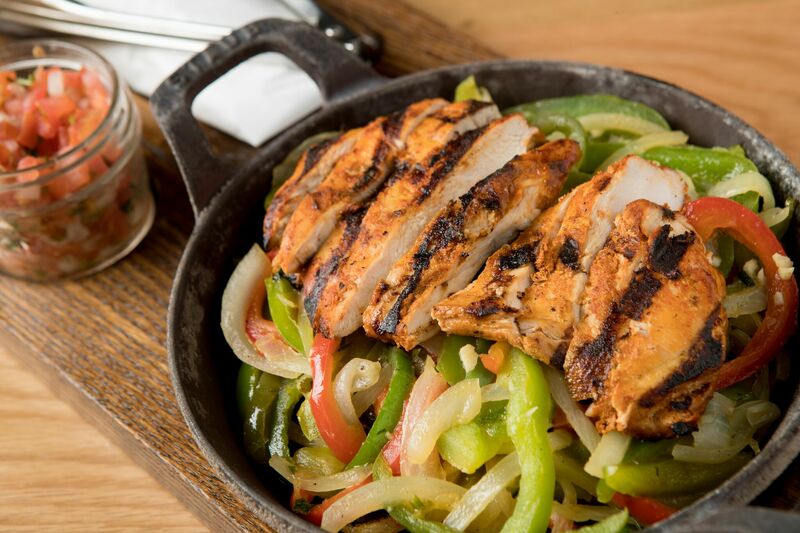 The only thing that can limit your exploration of Mexican fusion is your own imagination and creativity. Borracha has become a favorite for Mexican food in Henderson. 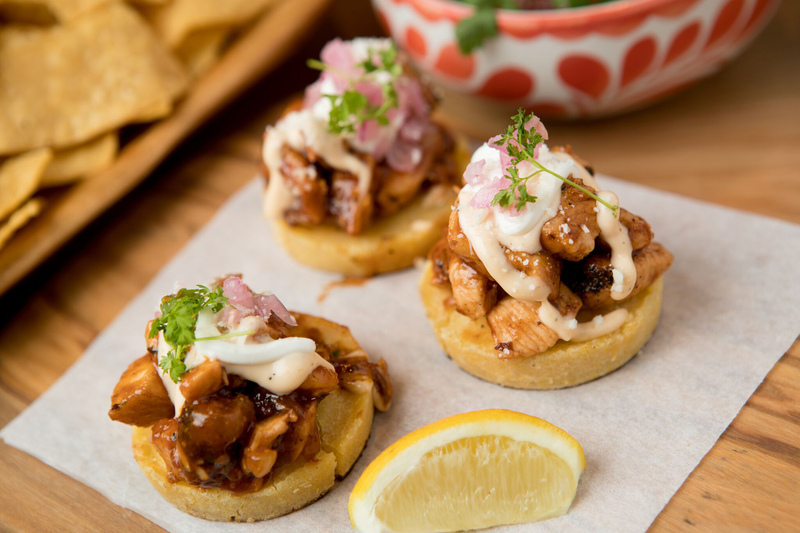 With a menu that has featured classic Mexican cuisine, Borracha is pleased to announce that they’re redesigning their menu to include fantastic Mexican fusion dishes – like many of the ones mentioned above. The next time you’re in the mood for something delicious and a little different, check out Borracha for the best Las Vegas Mexican dining.